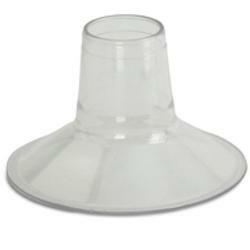 These Ameda breast flanges are for use for a custom fit for your nursing needs. Insert the 22.5 mm reducing insert into the standard flange. A custom fit for more comfort and better milk flow.